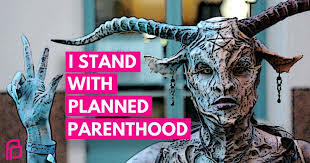 Pink Becomes the Color of Death–Satanist New York Governor Andrew Cuomo signs abortion bill; should now be charged with premeditated murder and given the death sentence! The radical abortion bill that Andrew Cuomo was pushing so aggressively on behalf of the Culture of Death has passed New York’s leftist state legislature. Because of the bill’s passage, Gov. Cuomo horrifically ordered that One World Trade Center be lit up in PINK to “celebrate” the passage of a bill that legalized abortion until the final day of pregnancy for any reason. In other words, Satanist Governor Cuomo has become the second largest mass murderer of the 21st century, after California Governor Jerry “Moonbeam” Brown turned California into the largest abortion factory earlier in the century. People call Adolf Hitler, Benito Mussolini, Josef Stalin, Mao Tse-tung and Kim Jung Un mass murderers. They don’t hold a candle to Governor Cuomo and Governor Brown. These two Governors have essentially ordered the murder of millions of human beings, some who may have been born to grow up and be the doctor to cure cancer or all other diseases, someone to end famine in our lifetime, someone to develop star travel, and more. It’s too bad they couldn’t light One World Trade Center up in black, the color of mourning. Even worse, as the “Catholic” governor of New York, Andrew Cuomo, not only signed the bill on the 46th anniversary of Roe v. Wade, but decreed a celebration. Catholic bishops of New York have issued a statement expressing dismay and “profound sadness” and rang a church bell in protest. This is not enough. Governor Cuomo, who professes to be a Catholic, is a poor example of what a Catholic should be and should be excommunicated from the Catholic Church for his murderous rampage. Considering that the bill allows for inflicting death on babies right up to birth, Governor Cuomo should now be charged with millions of counts of premeditated murder and mass murder, aiding and abetting murder and mass murder, child abuse and other crimes against children and crimes against humanity. He is no better than the driver of the get-away car involved in a murder by the driver’s passenger-cohort. Governor Cuomo is the very definition of “evil”. He claims to be a Catholic but, with a pen and paper, he orders the murder of millions of unborn human beings. It’s time for these left-wing, socialist despots hiding behind being Americans to be brought before the World Court for crimes against humanity. His order to light up One World Trade Center, where over 2,000 people died from a terrorist attack on 9-11 makes Cuomo no better than the Muslim jihadist terrorists. Not only should no Catholic let this go unaddressed, but all other religions that love life, including the Jewish religion, Buddhists, Presbyterian, etc. have to vehemently reject this law and this murderous Governor. Cuomo should be denied the right of Holy Communion, or any other sacrament, and be dragged to Hell, where he belongs with the likes of Hitler, Mussolini, Stalin, Mao, Castro, et al. Next Story → JW: BIG Court Victory On Clinton Emails & Benghazi + More!